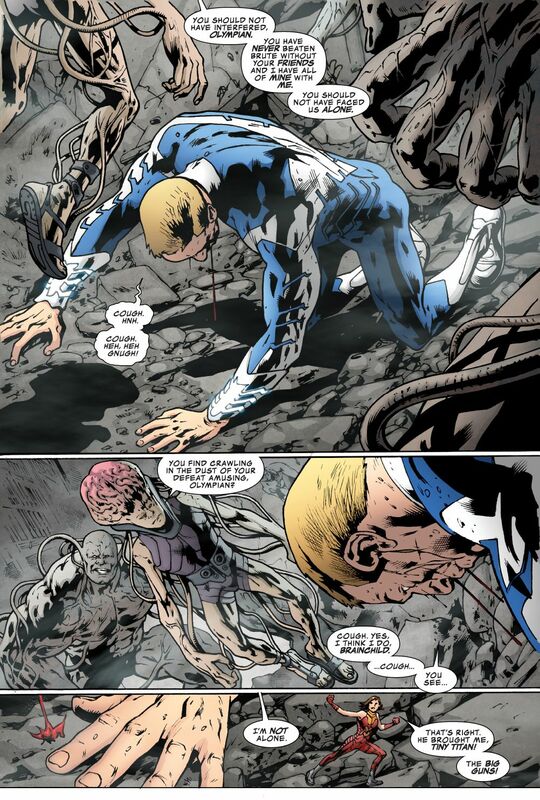 BRYAN HITCH IS BACK! 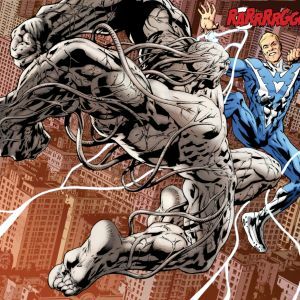 Hitch's career has spanned over twenty years and features two separate paradigm shifts in what makes superheroes cool. 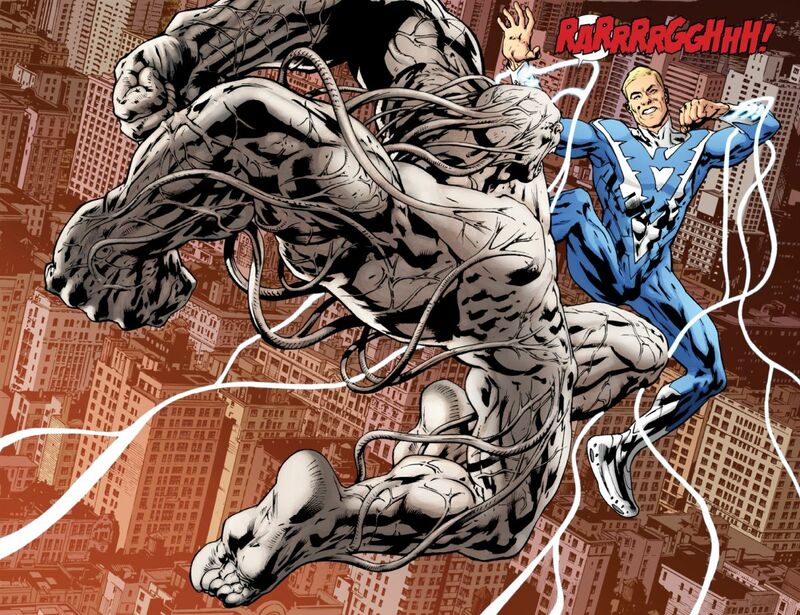 In 2014, hot off the success of AMERICA'S GOT POWERS, Hitch is ready to show off what he does best once again. 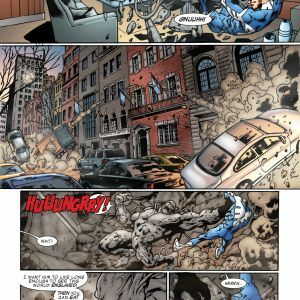 In REAL HEROES, life begins imitating art when aliens invade and begin taking lives. The problem is that the aliens are from a blockbuster movie depicting the Olympians, a fantastic—and fictional!—super-team. The actors find themselves under fire, and then must suit up and attempt to save the world on their own. But life, like art, is never that simple. Luckily, we contacted Hitch to get the low-down on where he's going with REAL HEROES. How metafictional are you going with REAL HEROES? Will there be references or nods to established heroes, or are you going to play it relatively straight? 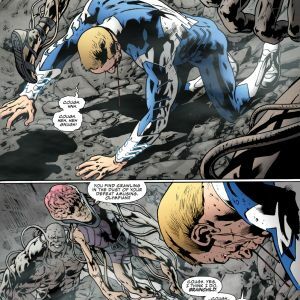 Bryan Hitch: I think it's going to be relatively straight. I don't want anything that's going to artificially pull anybody out of the story. It's not a satire; it's a "big-budget" widescreen spectacular and we put so much effort into doing this stuff for real that poking fun at it is maybe not the best way to grab an audience. I think there are certainly recognisable archetypes in the heroic fiction of the characters our actors play in their Olympians movies but the neat thing is, those aren't the people we follow. The real stars of this story are the very fallible, very real actors. It's those characters that shape the story when they find themselves doing it for real. Robert Downey Jr. isn't really Tony Stark, Hemsworth isn't Thor, and Cavill isn't Superman. Imagine if they got to be? Very different story. This is your first long-form solo work, after collaborating with a number of high profile writers in the past. Is the creative process markedly different for you now that you're writing and drawing the work on your own? Hitch: It's certainly more fluid because I don't have to write a script anybody else has to understand or interpret. There are shorthands I can take but there are also more opportunities to edit and process my story as I go. So far it's been just a joy to work on and the reactions I've had to the first issue from colleagues and friends has been just amazing. Almost all the writers I've worked with have encouraged me to do it myself from Warren Ellis after The Authority to Mark Millar. It's something I've been aiming at since June of '87 when I first set out on this crazy voyage into comics! You've helped redefine and update superheroes on a few different occasions. What attracts you to the genre? Did you grow up with superhero comics? Hitch: I grew up with DC comics and Superman movies and it's been a life-long love affair. Then it was the joy in reading about the great comics heroes; now the joy is in making stories about them. The only thing better than that is creating new stuff of my own. It's all very well playing with other kids' cool toys but it's better having cool toys of your own, don't you think? 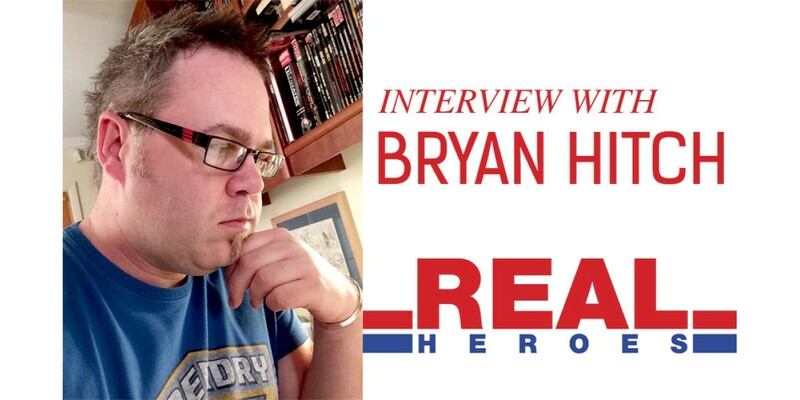 What can readers look forward to in REAL HEROES? Your name is synonymous with widescreen action. Can you tease anything you're really looking forward to drawing? Hitch: I'm looking forward to drawing all of it. 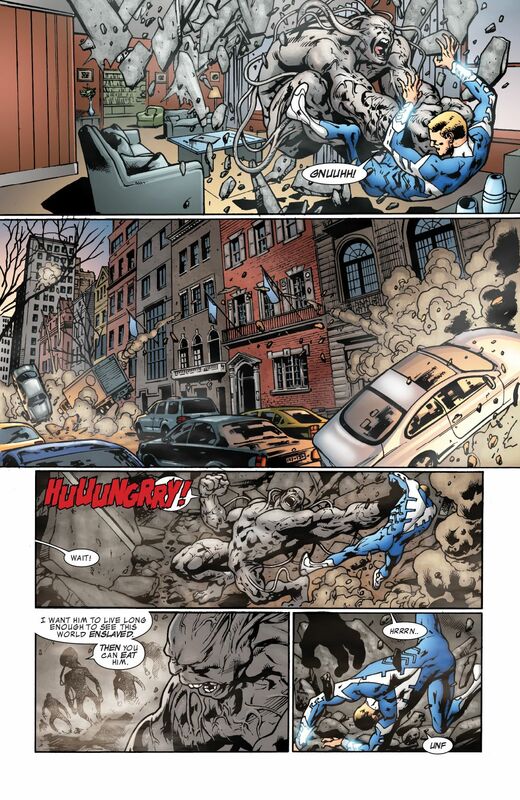 There's some of the biggest and most widescreen action I've ever attempted and being able to both write and draw those sequences is allowing detail and nuance I may not have had since The Ultimates. The most fun though is in writing and drawing these six characters, not the fictional heroes they get to play for real but the very real, very human, very rich and spoilt actors. Watching them become heroes, maybe greater even than the fictional ones they play is such a joy. You know you have something when your characters write themselves and most of the time I feel like I'm just watching this happen. Honestly, this feels like the start of a whole new career and I couldn't be more excited. How long have you been working on REAL HEROES? 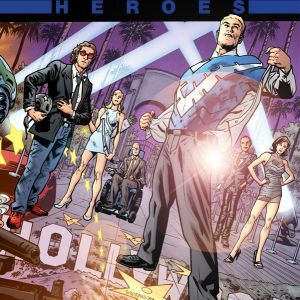 Hitch: I've been working on REAL HEROES for quite a few months and it was all aimed at making sure we could solicit the project with the absolute certainty of having it come out when we say it will. Right now I'm coming to the end of the pencils for issue four and that's seven months before it ships. Inks are coming on issue three right now and issue one is coloured and lettered. I have a probably well-deserved rep for being late and nobody is more frustrated by that than I am so I've taken every possible step I can to make sure you get each issue when you should. It won't be late and it will be monthly. Huzzah! REAL HEROES #1 arrives in stores on 3/26. 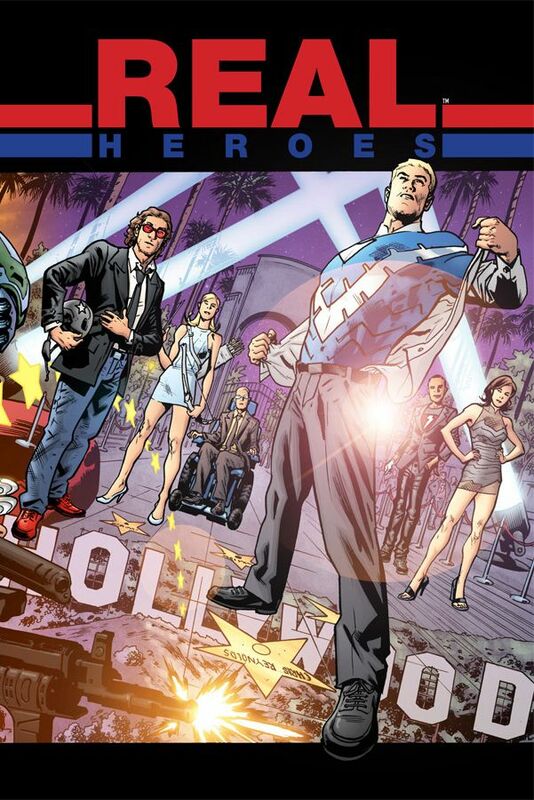 Cover A features art by Bryan Hitch and can be pre-ordered using Diamond Code JAN140533. Cover B, with art by Frank Cho, can be pre-ordered with Diamond Code JAN140534. Cover C, by David Finch, can be pre-ordered with Diamond Code JAN140535. Cover D, drawn by Travis Charest, can be pre-ordered via Diamond Code JAN140536.